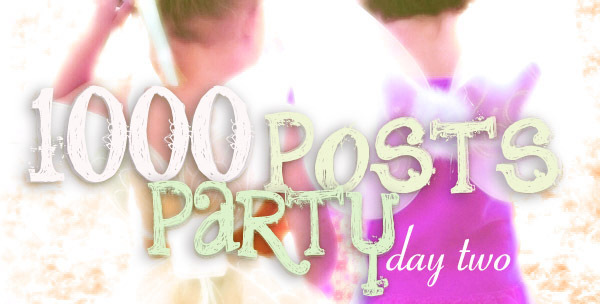 Welcome to Day Two of my 1000 Posts Party. I'm celebrating reaching 1000 stories posted here on my blog by giving you (my lovely readers) (without whom there would be no point blogging) some presents. One of the things I have enjoyed doing as I've learnt things about blogging, is sharing what I've learnt with others, to help new bloggers make their blogs the best they can be. I have a whole page of blog tips, covering everything from the basics of creating hyperlinks, to what to do when you've lost your bloggy mojo. But by far my most popular (and most commented-upon) post is my FREE Social Media Buttons post. Choose your colour. Select and copy the code above (control+c) then paste (control+v) into a Word document. Save. Replace the coloured text with your own details. Save. (If there are some Platforms you don't use, move the code for those buttons to the bottom of the page and keep for later, just in case). Copy the new code (control+c) and paste into an html gadget in your sidebar. Save. That's my little present to you (my fellow bloggers) for being my readers, blog-colleagues and blog-friends. And now I want to bless somebody with a Blog Makeover. Since I've spent the last five years tweaking my blog and learning how to customise stuff at the University of Google Search, I have recently begun to offer my services to people who want a customised gorgeous blog design (which reeks of who they are) but have neither the time, nor the inclination to DIY it themselves. Now which hoops will I require you to jump through in order to win this handy prize? That's it. Not too painful aye?? (and if you really want to thank me for all the blog tips and freebies over the years, you could add my Blog Webshop button into your sidebar). I will pick my favourite comment and let you know the winner(s) at the end of the 1000 Posts Party. You have until next Tuesday 2nd July to enter the giveaway by leaving a comment. See you tomorrow when I will be showcasing my favourite Blog posts of all time and giving away some of my Favourite Books! P.S. You can still enter Day One's Giveaway - open until Tuesday 2nd July. The End (but not The End) of "Grateful"